AMERICA is facing its biggest threat. Two beautiful and dangerous women, who will do anything to achieve their goals. 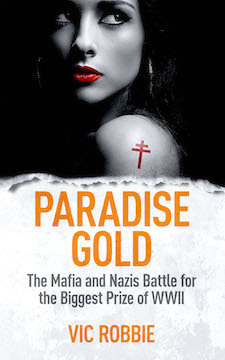 Nazis battling Mafia assassins. And German U-boats threatening to devastate New York and other American cities. 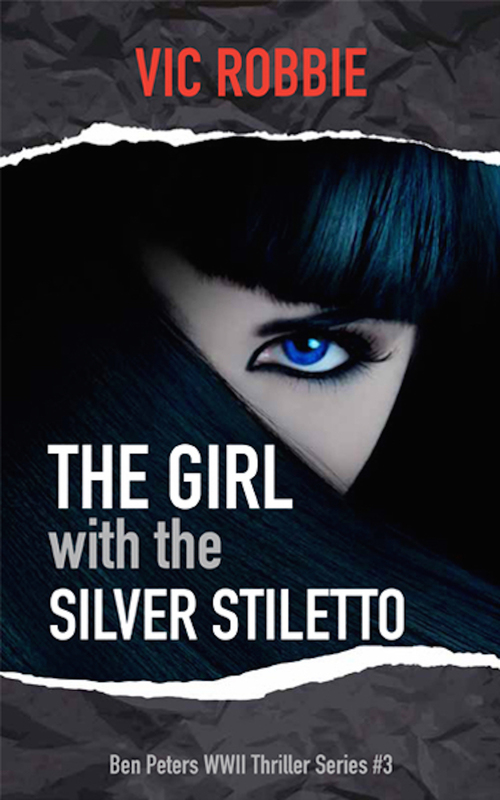 Enjoy action-packed historical spy stories? 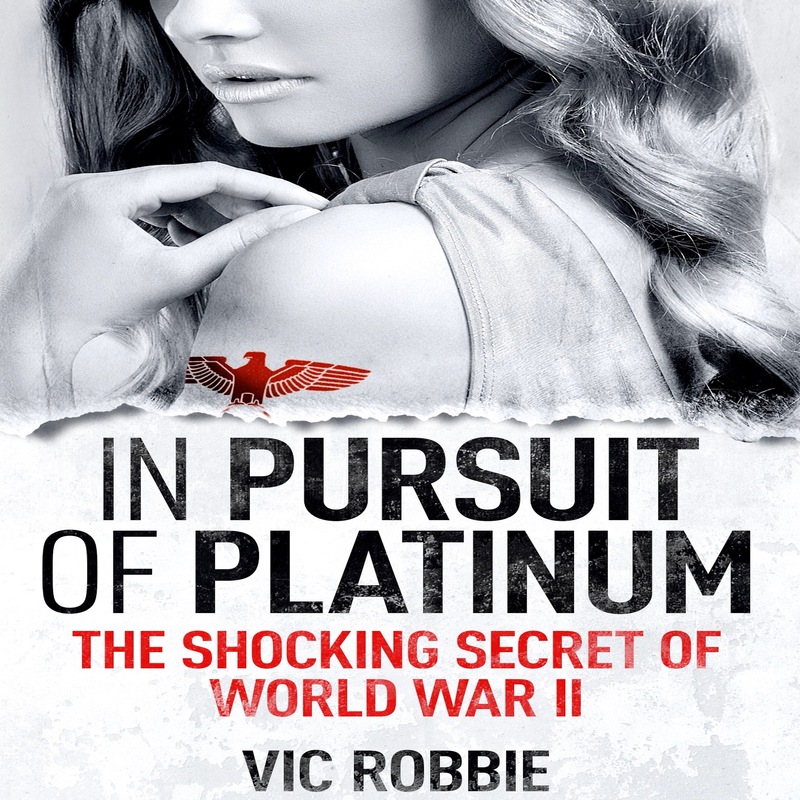 Then the second of this riveting World War II series is for you. A ten-year-old boy is pursued by Nazis while a New York syndicate wants him dead. A plane disappears and is found fifty years later. Natalie has to make an agonising choice. Execute the boy or hand him over to the Nazis. And Ben Peters stands alone against evil. The Brilliant! Exciting! Suspenseful! 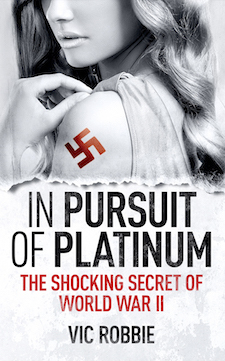 audiobook of In Pursuit Of Platinum, narrated by Hollywood actor Curt Bonnem, Is available now for your listening pleasure on Amazon, iTunes and Audible. Vic Robbie was born in Scotland, lives in England, and loves spending time in California. 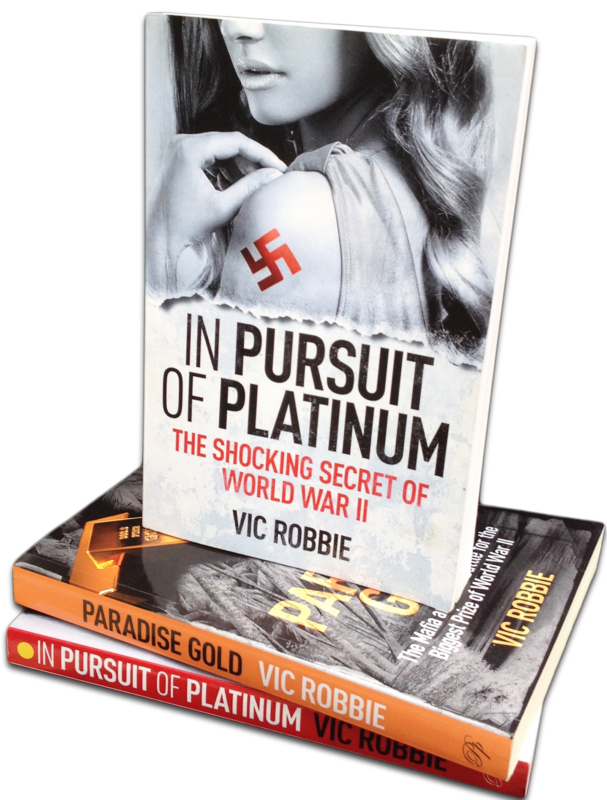 An author of fast-paced thrillers, his first two books in the Ben Peters World War II series, the best-selling IN PURSUIT OF PLATINUM and PARADISE GOLD have been described as ‘Brilliant! Exciting! Suspenseful!’. 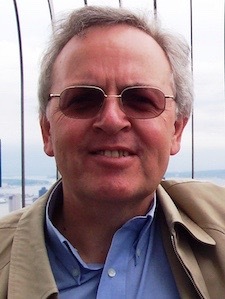 As a journalist, he has travelled the world working for newspapers such as the Daily Mail, The Independent, Scotland on Sunday, Daily Telegraph, Daily Mirror, and Sydney Telegraph in the UK, Australia and the US as a writer, columnist and editor. He launched and edited the award-winning magazine Golf & Travel, and his publishing company produced the PGA Official Yearbook and a number of other sports publications. Apart from playing golf with a passion, but little skill, he has run a number of marathons, including New York and London, for charity.